Help Yourself to a Hot Cup of Coffee! If a highlight of your daily routine is a delicious, energizing cup of coffee ― one that just makes you feel warm all over ― then this website is definitely for you. Our mission is straightforward: We’re going to explore this drink in every dimension and in all of its steaming glory. For us, it’s a thrilling undertaking because we know how complex and flavorful the subject of coffee can be. Therefore, whether we’re discussing an exotic blend from a tropical island or finding ways of improving what we make in our own kitchens each morning, we’ll examine the topic with great enthusiasm. More precisely, expect to find on this site detailed reviews of various coffee brands and accessories. On a regular basis, we’ll also post the latest news about brews as well as a wealth of entertaining blogs. Our contributors may differ in age and background, but they share a burning passion for hot java. There’s another reason why we’re so excited about this endeavor. 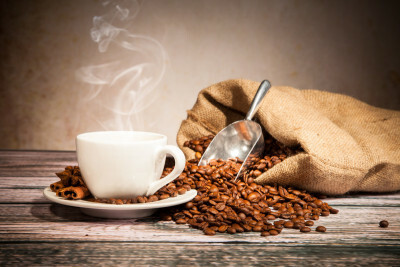 Recent scientific studies have found that coffee consumption can lead to a range of positive health effects. For instance, this beneficial beverage can make a person less likely to develop dementia, diabetes, prostate cancer, and basal cell carcinoma. What’s more, it can improve regularity, lower levels of stress, and even increase the power of muscles ― older muscles in particular. Of course, this list of advantages is far from complete, and we look forward to sharing more examples with you in the future. Finally, we want you to feel as though you’re our partner as we go on this journey ― the journey into the wonderful, flavorful world of coffee. After all, that’s how we think of you. To that end, please feel free to share your thoughts on these pages and to contact us whenever you’d like. We can’t wait to hear your coffee-related questions, concerns, anecdotes, and ideas. Until then, we’ll raise a cup to you.